It is interesting that despite the woeful track record of the Nigerian National Petroleum Corporation (NNPC) in the management of the nation’s refineries, there is an on-going process to build additional three refineries by the corporation. 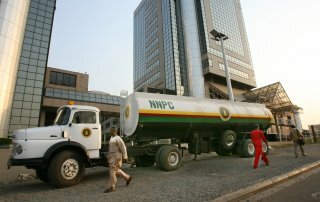 This plan by the NNPC to partner with the Chinese government to build an additional three refineries has been around for a while but the Minister of Works, Mike Onolememen, confirmed it again in the heat of the crisis over the removal of fuel subsidy. The refineries are to be located in Lagos, Bayelsa and Kogi states. The one in Lagos is expected to have a capacity of 200,000 barrels per day, while the ones in Kogi and Bayelsa will have the capacity to produce 100,000 barrels per day each. Currently, NNPC is managing Nigeria’s four existing refineries with a combined capacity to process 445,000 bpd of crude oil. 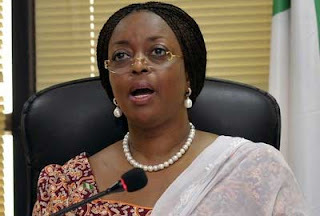 There are two refineries in Port Harcourt with a combined capacity of 210,000 bpd. There is another refinery in Warri with an installed capacity of 125,000 bpd and another refinery in Kaduna with an installed capacity of 110,000 bpd. The story of how the NNPC has managed these four refineries is a classic case study of why government should not be in business especially where that government has established brand equity in inefficiency fuelled by corruption. At an international conference on the Nigeria oil and gas industry last year, Tim Okon Group General Manager, Planning Transformation and Strategy of the NNPC had revealed that Nigeria’s four refineries made a cumulative loss of N25 billion in 2009. He did not say if the refineries also made losses in 2008 and 2010 but going by what he said, the refineries could not have made any profits in both years. The four refineries, he said, have managed to achieve just 30 per cent capacity utilization in the last ten years. 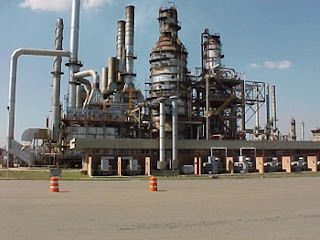 Specifically, the four refineries located in Kaduna, Warri and Port Harcourt managed to achieve 13 per cent capacity utilization in 2009 while actual PMS yield stood at just an average of 18 per cent when compared with a target of 30 per cent for the same year and global average of about 46 per cent. What comes out in this message is that Nigeria’s four existing refineries have been more dead than alive for at least ten years. If the four refineries were listed on a stock exchange, they will be penny stocks by now and if they were operated by the private sector, they would have been shut down by now if there was no chance of making them produce at a minimum of break-even capacity. However, they are operated by the Nigerian government, for whom waste of money is not an issue. However, since the NNPC refineries are more dead than alive, Nigeria has become a major importer of refined fuel within the same period. Even gloomier is the fact that the refineries are dead despite the billions spent on them in the name turnaround maintenance (TAM). It is estimated that the several TAM that has been done on the refineries may have cost the nation as much as N35 billion in the last ten years. Yet the NNPC has embarked on a new round of TAM on the same dead refineries which they say will take the capacity of the refineries to 90 per cent. This time they say they have invited the original builders of the refineries to undertake the TAM to ensure it is successful. The question though is will the original builders of the refineries stay behind to maintain the refineries after the TAM. The challenge has always not been in raising the capacity, it has always been in sustaining the capacity which NNPC has shown it does not have the skill or ability to do. And despite having shown that it does not have the capacity to manage the existing refineries, it is even more surprising that the NNPC is in the process of building an additional three refineries with an estimated cost in the range USD25 billion for three greenfield refineries. Besides, the obvious fear that the three new refineries will in a few years end up like the existing four refineries that NNPC has been managing, the idea of NNPC building three more refineries also goes against the aim of government eventually deregulating the downstream sector of the Nigerian oil and gas industry. Allowing NNPC to build and manage three additional refineries is really like rewarding inefficiency. It is like saying the reward for inefficiency is additional responsibility. If NNPC could not manage four refineries successfully, on what basis is it expected to be able to manage seven refineries? Besides, I do not know of anywhere in the world where a single entity manages seven refineries. It is just unwieldy and a recipe for failure. It will add new debts to the country without the expected benefits. I personally think the government is encouraging a further waste of Nigeria’s resources by allowing NNPC to sink more money into new refineries as well as embark on a new TAM of the existing refineries when there is a good chance that it will not end up in any sustainable efficiency being achieved by the refineries. It is best the government start cutting its costs of exposure to the nation’s refineries. The existing refineries should be sold to private investors. The government can provide a guarantee to buy the refined products from the refineries until it musters the political will to fully deregulate the downstream sector. The government can create a bulk buyer model like it has done in the power sector to buy all refined products from the sold refineries at market based prices and sell to the public at the subsidized prices. This can be done until the downstream sector is fully deregulated. The advantage of this model is that it will create jobs, ensure that the refineries are managed efficiently, reduce the platforms for corruption that the refineries have become, ensure that our crude oil is refined locally creating the feeder businesses that will develop as a result and provide a platform for the take-off of the downstream end of the oil and gas industry. The government should also scrap the idea of helping NNPC build three Greenfield refineries. If NNPC wants additional refineries, it should wait till after the passage of the Petroleum Industry Bill (PIB), when hopefully it will be a fully incorporated entity. It can then raise money privately to build any number of refineries that it may choose to without using public funds. What the Nigerian government should concentrate on currently is the introduction of incentives that will encourage the private sector to build Greenfield refineries. The global appetite to build new refineries is low due to excess capacity in most parts of the developed world. So the government will need to give proper incentives for refineries to be built in the Nigerian market since most of their products will have to be consumed locally. Besides, it really does not make sense for the government to give out licenses for the private sector to build refineries and then use public money to fund new refineries at the same time. The private sector does not have the capacity to compete against public sector money which comes at zero cost most of the time or is highly subsidized. The government must choose between deregulation, competition and efficiency in the private sector or controlled prices, public sector monopoly and the inefficiency and corruption it breeds.